Front page of four page promotional piece for Grand Rapids School Furniture. Interior page of promotional piece for Grand Rapids School Furniture. Interior page of promotional piece for Grand Rapids School Furniture. 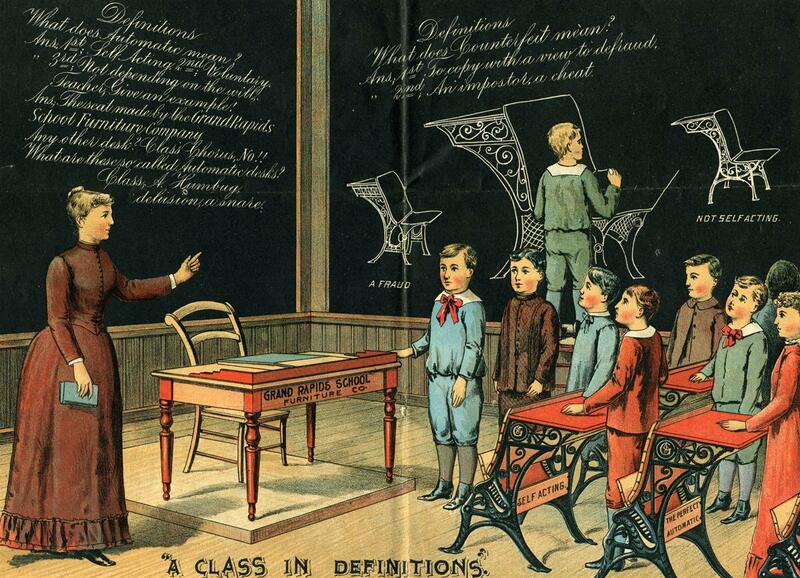 1886: Grand Rapids School Furniture Co. founded; was incorporated in 1887. 1899: The company merged with eighteen other school, church, and seating manufacturers to form the American School Furniture Company, headquartered in New York. 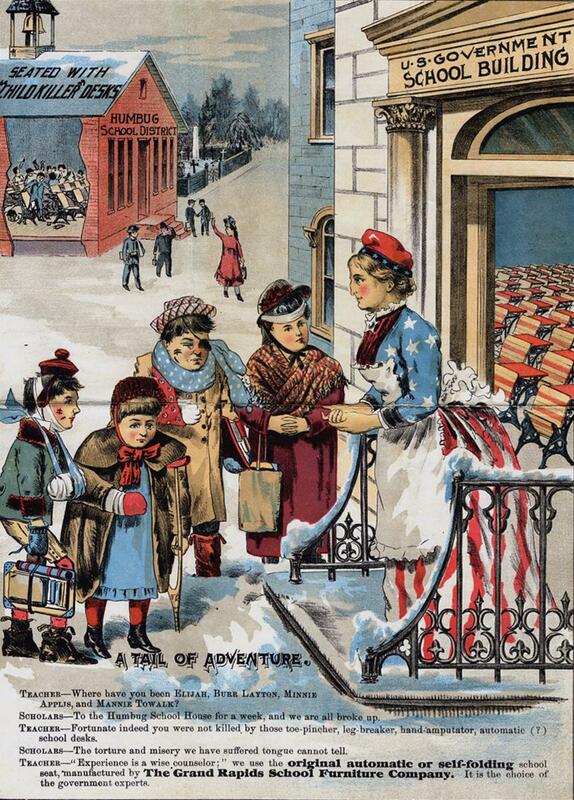 1906: The name was changed to American Seating Company; offices moved from New York to Chicago. In 1931 the offices moved from Chicago to Grand Rapids. 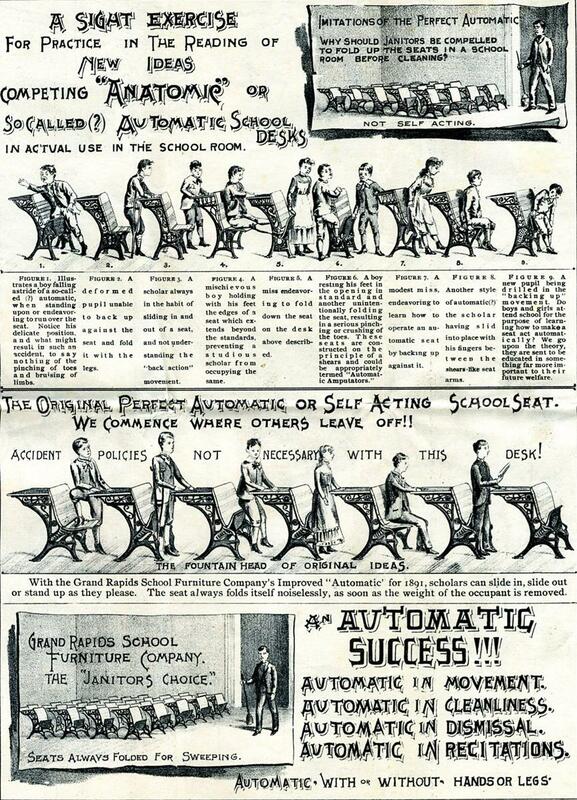 The location of Grand Rapids School Furniture on Broadway, between 9th and 10th, became the site of American Seating. 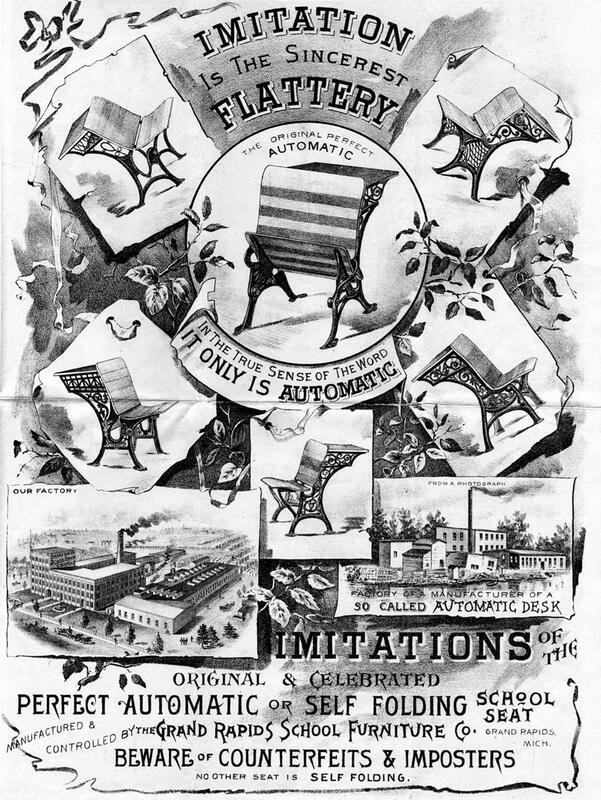 The 8 x 11 in., four page promotional piece, with two color and two black and white pages, promoted the "original automatic or self-folding" school seat. The pictured 'U.S. Government School Building' promotes the claim that the desk is the choice of the government experts.